Uddhav Thackeray is the youngest son of Bal Thackeray, the founder of Shiv Sena, a political party in India. Uddhav Thackeray is a politician belonging to one of the most influential political families in Maharshtra, which is the Thackeray family. Uddhav is the youngest son of Bal Thackeray, who founded the right wing Marathi ethnocentric political party of India, the 'Shiv Sena'. Uddhav has two other brothers namely Jaidev Thackeray and Bindumadhav Thackeray in ascending order of their respective ages. 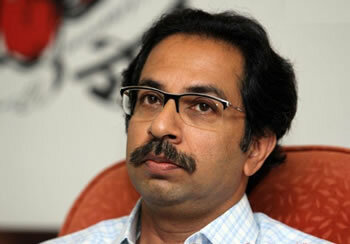 Uddhav was born on July 27, 1960, in Mumbai, the capital city of Maharshtra. His mother Mina Thackeray wasn’t associated much with politics, but his father Bal Thackeray absolutely ruled the roost when it came to politics, and this is saying the least. However, Uddhav picked up his mother’s trait of swaying away from politics upon growing up. He was originally interested in wildlife photography and took to it as his keen interest. Simultaneously, he also worked as the caretaker of Saamna, the family newspaper business of the Thackerays. Bal Thackeray soon got him into the political scheme when he started to actively campaign for the Shiv Sena ahead of the 2002 Municipal Corporation elections of Mumbai. Shiv Sena won the Brihan Mumbai Municipal Corporation by a good margin, following which Uddhav was appointed as the Shiv Sena Party President. This move didn’t go down too well with Bal Thackeray’s nephew and Uddhav’s cousin Raj Thackeray. In fact, many has speculated and envisaged Raj to be the next president of Shiv Sena, as his mannerisms were extremely similar to his uncle Bal Thackeray. Raj drew cartoons and vociferously advocated the cause of the ‘Marathi Manoos’ just like his uncle. However, Bal Thackeray surprised one and all by naming Uddhav as his successor. After Uddhav stepped up to be the Shiv Sena supreme, Raj quit the party and went on to form his own party, which is Maharashtra Navnirman Sena (MNS). Furthermore, some irreconcilable differences between Uddhav and Narayan Rane, a prominent Shiv Sena leader, begot the latter’s expulsion from the Shiv Sena as well. However, despite these heavy blows to the party and the party president himself, Uddhav has managed to steady the Shiv Sena ship and has never let it lose ground in the political battlefield of Maharashtra. More importantly, after the demise of Bal Thackeray on 17th November, 2012, Uddhav is seen as the most experienced and responsible leader that can reinstate Shiv Sena as the numero uno, at least in Maharshtra politics. Uddhav Thackeray is the man that whole of Shiv Sena will be looking to turn up the heat in the 2014 Lok Sabha general elections of India.